​with John F. Heusler, G.G. Students will learn basic lapidary skills and will inlay one piece of jewelry to completion. Skills gained will be grinding, fitting and polishing gemstones of different sorts. Proper doming and finishing will be paramount. John owned and operated a fine jewelry store for 31 years in St. Louis Missouri. 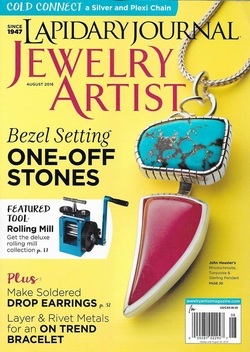 He writes articles for Lapidary Journal Jewelry Artist magazine and has been on the cover 12 times. 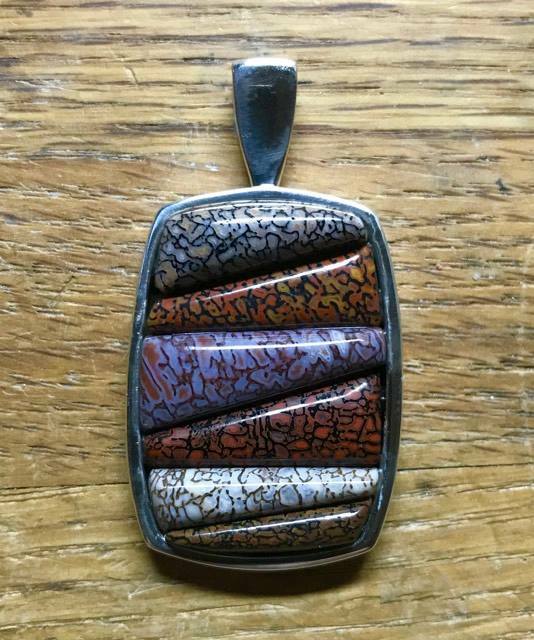 He has been making jewelry for 47+ years and now teaches lapidary and jewelry design. ​John’s interests outside of jewelry making are photography, fishing, hiking, travel in his RV and he is fluent in sarcasm. * Materials kit purchase is required for all our workshops. 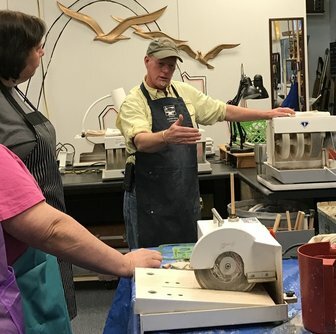 The kit insures all students have the same tools and materials required to learn the technique and allows the instructor and the students to focus on the technique rather than the materials. Maximum nine students. All participants will be required to sign a waiver. Students may cancel up to 45 days prior to the start of the class and receive a full refund, less $25 processing. In the event we have to cancel a class, students will be notified prior to the start date and will be issued a full refund. Seats are not transferrable. You may now sell your seat to another student.